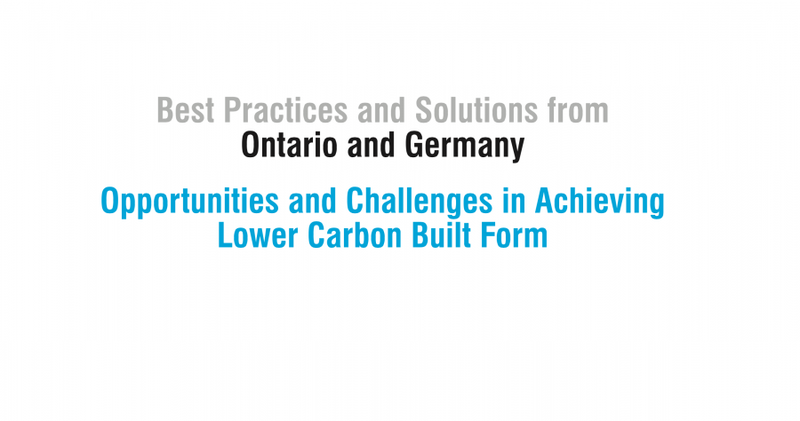 In an effort to bring emerging green technologies and practices into Ontario, the Canadian German Chamber of Industry and Commerce Inc. held its 6th Canadian German Conference on Energy Efficient Retrofits in Buildings. In attendance were representatives of seven companies from Germany, alongside around 90 conference delegates, including representatives from industry, associations, and academic institutions, who shared and exchanged knowledge and expertise on energy efficiency. 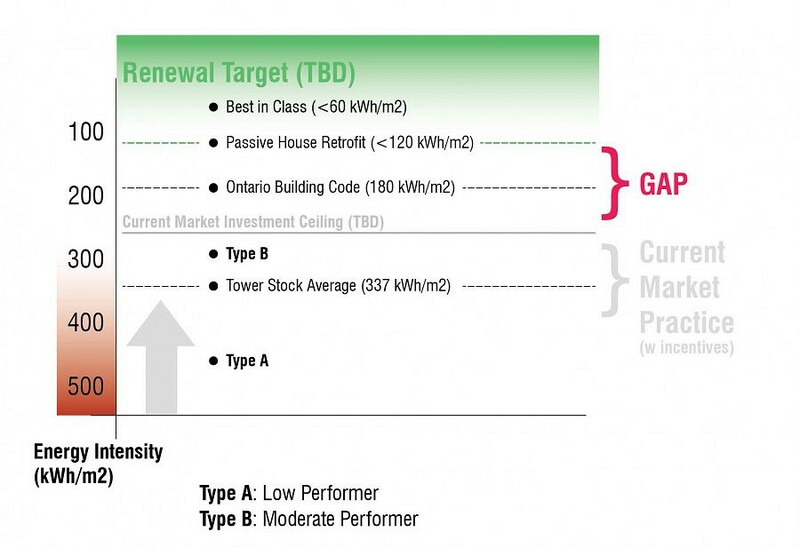 The Tower Renewal initiative is working with the German Chamber through a research partnership to promote energy conservation in the building sector and to explore the current potential for energy efficient retrofits. Through local and international research related to the state of art in low energy building retrofit, ERA has developed an ongoing relationship with them to research the most viable solutions. Evaluation of performance of typical apartment tower buildings in Toronto in comparison to local and international codes. ERA’s Graeme Stewart, one of ERA’s Principals, and a key initiator for Tower Renewal, moderated a plenary session at the conference titled, “Best Practices and Solutions from Ontario and Germany.” Stewart led a dynamic discussion on the challenges faced in the building retrofit market in both Canada and Germany with a focus on the Tower Renewal project as case study. Presenter Graeme Stewart. 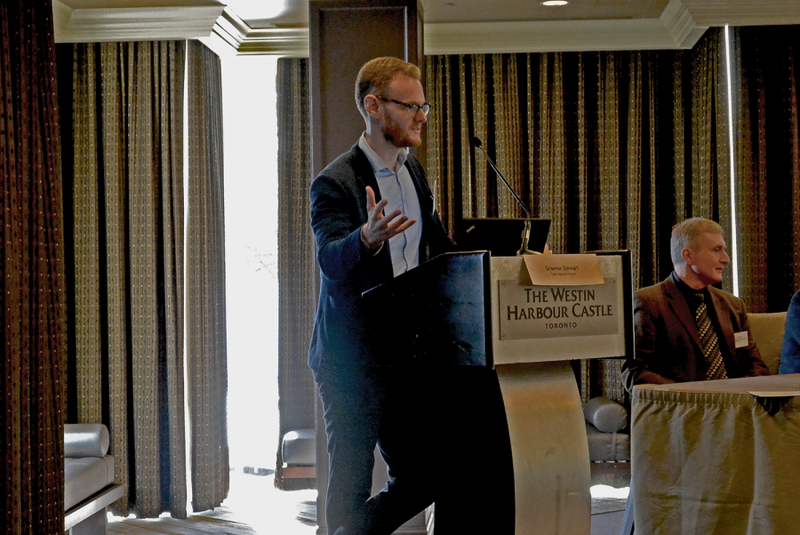 Photo credit: the Canadian German Chamber of Industry and Commerce Inc.
To read the presentations at this event, please click here. For more information on the Canadian German Conference, please visit here.